The spiritual journey to the inner self. Pure electronics and piano - no samples. Very different from the rest of his chill-out music. 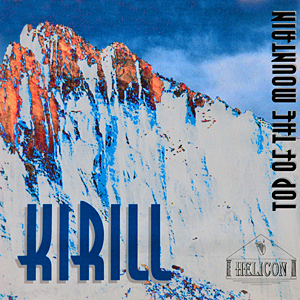 Although some believe that this album has romantic, spiritual values and even "healing" power, Kirill just claims to have written this music to help him calm down and get balanced after his "furious" life performances. It is the other side of heavy metal, but not the opposite. He thinks that this music sounds still very 'modern" because the sounds of the 80's are now fashionable again. The album itself was (due to absence of sponsoring funds) never released. --> You can however reach the album in the download section! Credits for the sound atmosphere goes to the russian sound designer Ilya Rogozin who mastered and produced this amazing mix only with an 8 track digital recorder.